The Northwest Writers Fund promotes the work of some of the region’s most talented nonfiction writers. We extend a special thanks to all of the fund’s establishing donors including Linda and Peter Capell, Janet and John Creighton, Michael J. Repass, Robert Wack, and others. To contribute to the fund or for more information, please contact Beth Fuget at (206) 616-818 or bfuget@uw.edu. Below please find a preview of some of the exciting local book talks and signings we have planned for Too High and Too Steep and Reclaimers. We hope you will join us. Check out our full events calendar for more opportunities to meet our authors in Seattle and beyond! Residents and visitors in today’s Seattle would barely recognize the landscape that its founding settlers first encountered. As the city grew, its leaders and inhabitants dramatically altered its topography to accommodate their changing visions. 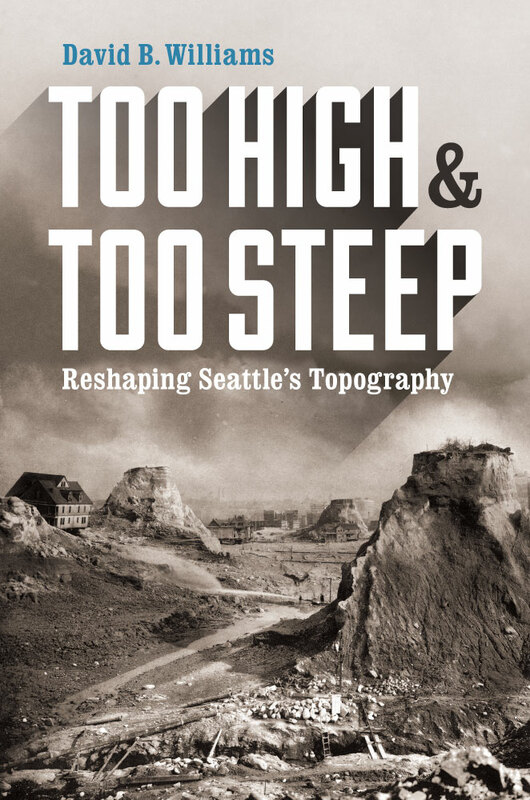 In Too High and Too Steep, David B. Williams uses his deep knowledge of Seattle, scientific background, and extensive research and interviews to illuminate the physical challenges and sometimes startling hubris of these large-scale transformations, from the filling in of the Duwamish tideflats to the massive regrading project that pared down Denny Hill. In the course of telling this fascinating story, Williams helps readers find visible traces of the city’s former landscape and better understand Seattle as a place that has been radically reshaped. Acclaimed literary writer Ana Maria Spagna drives an aging Buick up and down the long strip of West Coast mountain ranges–the Panamints, the Sierras, the Cascades–and alongside rivers to explore the ways and places in which people (mostly women) have worked to reclaim land that has been co-opted by outside, usually industrial, forces. 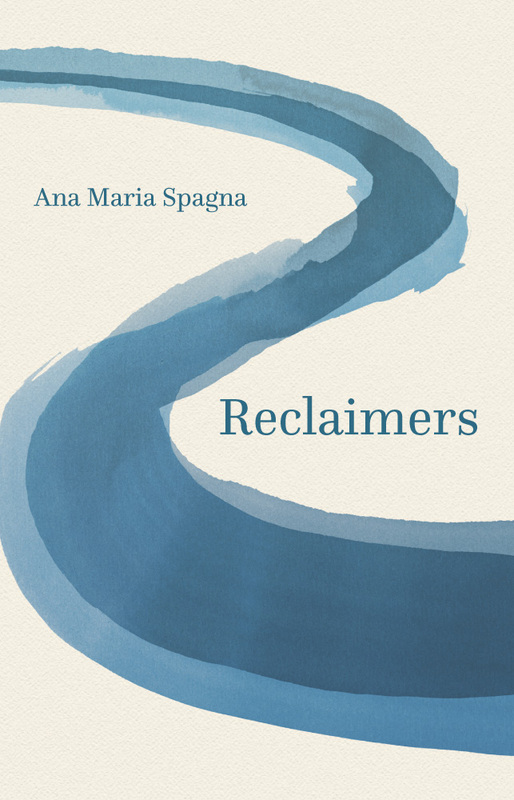 In uncovering the heroic stories of those who persevered for decades, Spagna seeks a way for herself, and for all of us, to take back and to make right in a time of unsettling ecological change. Her wonderful first-person narrative opens readers up to the urgency of recognizing the place of the natural world and nudges us all to remember that it’s not too late to make a difference. 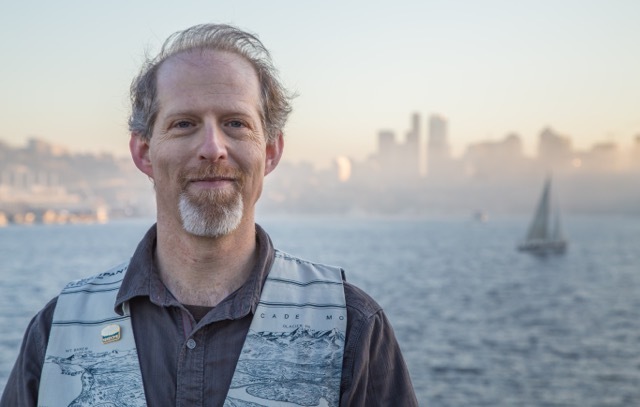 This entry was posted in Environmental History, Events, History, Nature, Pacific Northwest, UW Press News, Western History and tagged Author Events, Author Signings, Environmental History, Northwest Writers Fund, Pacific Northwest, Seattle, urban history on September 2, 2015 by uwpressblog.